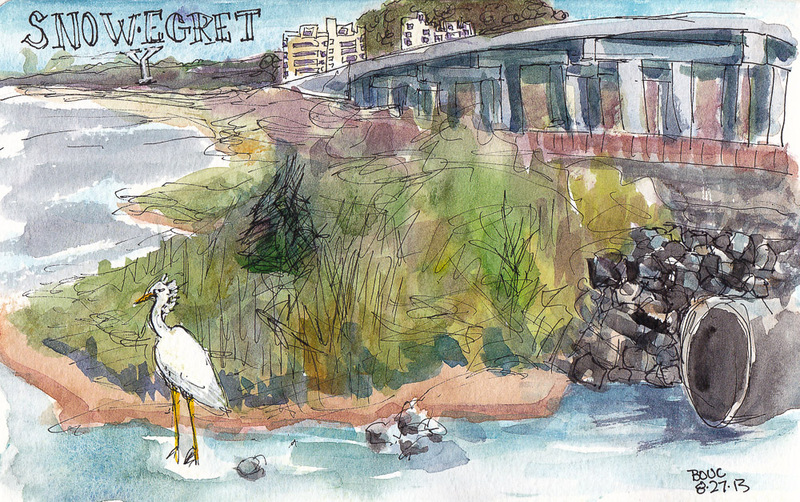 While I was having my car’s oil changed at Toyota Albany I took a hike down to the SF Bay Trail to sketch. I followed a confusing bike and walking path that goes up onto an overpass and then down under the freeway. It leads to the marsh on the way out to Albany Bulb, a spit of land homesteaded by the homeless that the city is constantly trying to reclaim. There were birds everywhere, including the beautiful, delicate white Snowy Egrets that always delight me (above). I even spotted birds living right on the freeway walls; the family of pigeons above didn’t seem disturbed by the constant roar of cars. The hike was a bit isolated, and it felt spooky walking under the freeways, even on a sunny weekday morning. Fortunately the few people I saw along the way were polite bicyclists. No trolls living under these bridges like the Brothers Grimm fairytale I remember with horror from my childhood. While I was sketching, a man was photographing birds nearby and he told me the names of the birds we were seeing, and how to differentiate them. 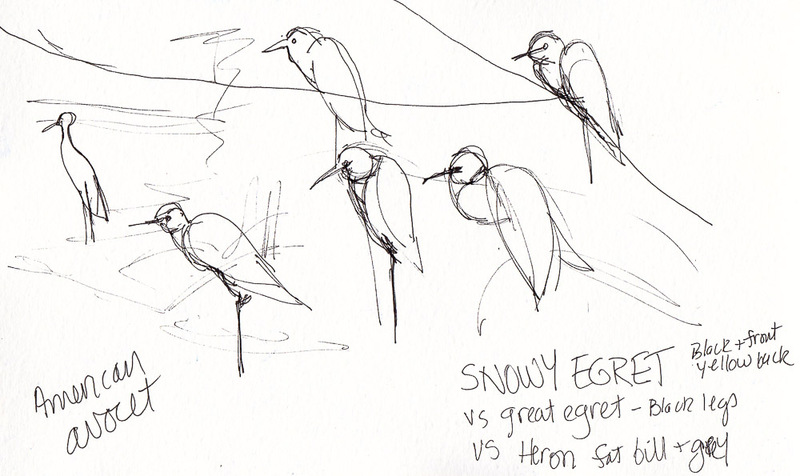 I made notes on my sketch as I tried to figure out the basic shape of the birds. You are very brave for painting such a huge structure like the roads. 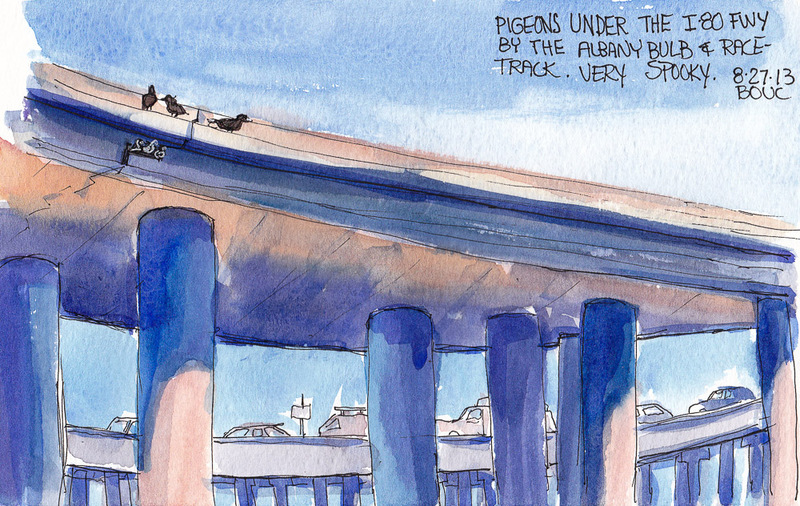 I especially like your pigeons on highway one. Thanks Sue. It was fun.